Sandbourne Road runs off Alumhurst Road near the cliff-top. It’s western end is close to Branksome Chine. This is a purely residential area. Being on the cliffs near the chine has attracted the usual collection of large properties. No doubt the Victorians would have been very attracted to this area with the sea views.Curiously, this is a crescent with a cul-de-sac “spur”. The exclusive properties of the area are not, however, exempt from the effects of the elements. In November 2014, part of the cliff collapsed, causing one of the mansions to loose a significant part of its garden. This house, in fact, is adjacent to the former home of the entertainer Max Bygraves. At the end of the Sandbourne Road, there is a narrow footpath. This skirts round into Branksome Dene, and goes around the back of what is now Zetland Court. There is a private entrance to the rear of the “Viewpoint” large blocks of flats. Once again, this area has a mix of Victorian Villas and Mansions, modern villas, and flats. The large pair of blocks called Viewpoint are at the inland end. Nearer the cliff-top are some very modern flats built more in a continental style – yet still blending in and complementing the street scene. 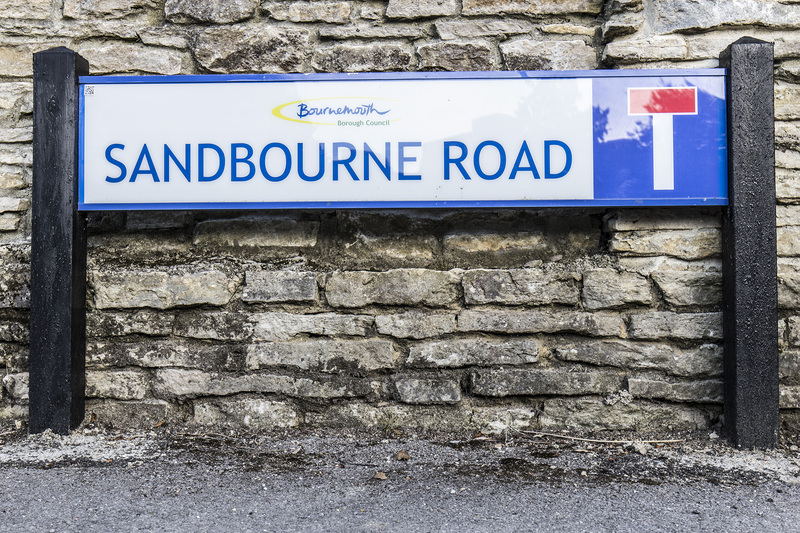 There is easy access to the centre of Westbourne by car and the frequent bus service from Alum Chine. It is an easy walk down to the beach. From here, there is a pleasant walk east towards Bournemouth Pier – and beyond, or west towards Sandbanks.